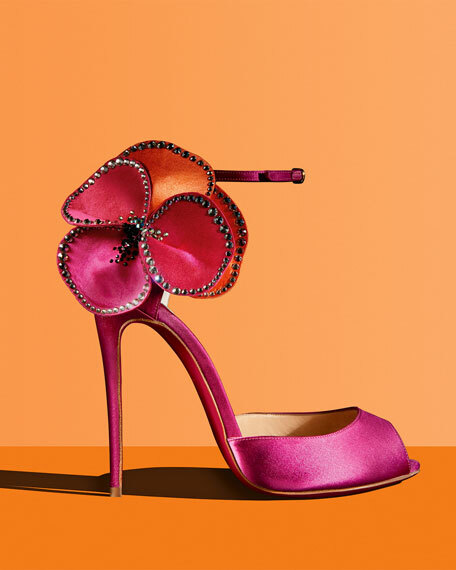 Vividly dressed in satin, a crystal-embellished flower flashes from the side of this Christian Louboutin sandal for a showstopping effect. 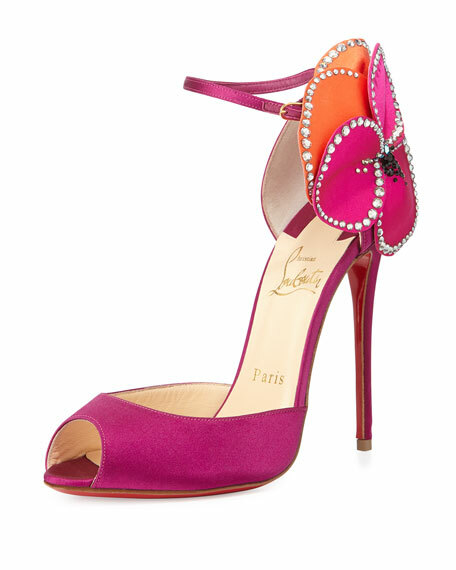 Christian Louboutin satin d'Orsay sandal. 4 3/4" covered stiletto heel. 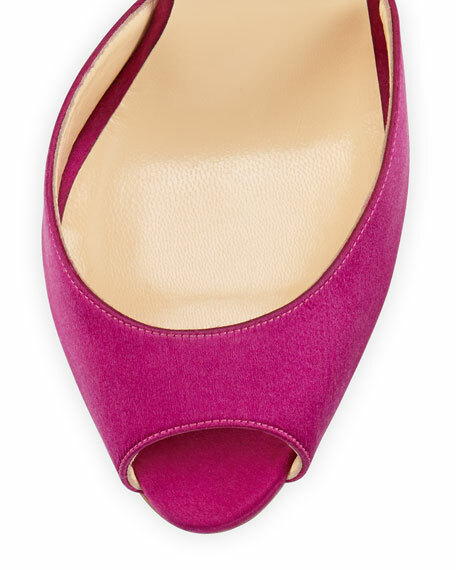 Low-dipped vamp with peep toe. 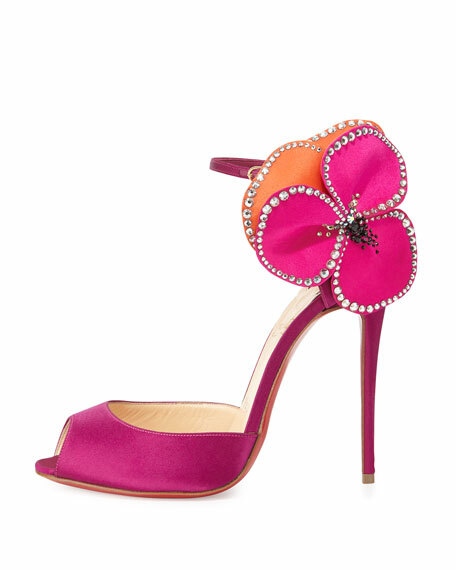 Floral detail with crystals at side of heel counter. "Pensamoi" is made in Italy.